New innovations are taking place on the food front that are exciting and potentially earth-saving: from clean meat — which is real meat made by multiplying cells, instead of using animals — to milk that is made in the same way. One company has even started making yolks without chickens. And now, we have gelatin. For the past five years, I have been trying to get the government to make a law, asking for all medicine capsules to be vegetarian. Millions of people, like me, can’t eat medicines because the capsule is made of ground animal bone from cows and pigs. 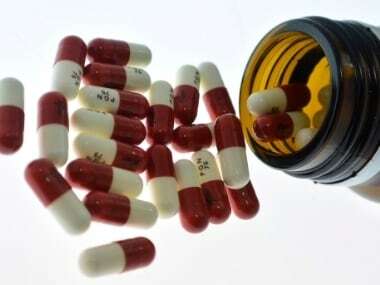 The Drug Controller General of India (DCGI) made a number of committees in this regard. Presentations were made, issues were discussed and, finally, he agreed that capsules should be made vegetarian. Then the gelatin industry started feeding the press, and their lobbyists got into the act. "It would make them expensive, vegetarian alternatives were not available," all not true. Then an order came that this shouldn't be done as it would have “political repercussions close to the elections” – meaning that some politician’s friend was in the gelatin industry. So, we are back to where we started, and I am unhappy. Gelatin is a flavourless, colourless, gelling and thickening agent made by throwing animal skin, bones and connective tissues into an acid, or alkaline, bath and dissolving them. The animal parts, used commercially, are pig skin, cow hide, cattle bones, fish skin. Gelatin dissolves in hot water and gels when it cools down, and is used to prepare confectioneries such as sweets, marshmallows, desserts, cakes and jellies. It is added to simulate the “mouthfeel of fat” in low-fat foods and to create volume in a range of foodstuffs, including ice cream, Chinese food, soups, cream cheese, gummy bears, wine, beer, apple juice and vinegar, pill capsules, frosted cereal, yogurt, dips and even some frozen vegetables. It’s what gives them their chewy, rubbery strength. Food and beverage is the biggest market for gelatin, followed by nutraceuticals, pharmaceuticals, photography, and cosmetics such as face creams, shampoos, hair sprays, soaps and nail polishes. There are vegan alternatives to gelatine: agar agar, pectin, starches, gums. But companies using gelatin say that they do not have the same chemical and mechanical properties. They are also slightly more expensive. But a company, Gelzen, was founded in 2015 to produce animal-free gelatin for use in food, pharmaceutical, and cosmetic products, in a new way. Its co-founders are molecular biologists Nick Ouzounov and Alex Lorestani, who while studying at Princeton asked themselves: Why has the consumer goods industry still not benefited from synthetic biology to the extent that medicine has? We no longer have to slaughter a pig and take its pancreas to get insulin, so why should we do it for gelatine and collagen? Now renamed as Geltor, the California-based company seeks to disrupt the gelatin market by providing the same ingredient – except that it is animal-free. It creates designer vegan collagen for the skincare products, and in 2018, it won the Cosmetic Executive Women (CEW) Beauty Innovation Award. CEW is a network of 8,600+ beauty industry professionals who know the top cosmetics in the market. The company seeks to supply the overwhelming demand for gelatin. By taking the machinery that builds collagen in animals and moving it into microbes, Geltor can make a customisable, cost-competitive, safe, animal-free, and environment-friendly product. Geltor explains the simple logic behind the cruelty-free gelatine on its website: “Scavenging essential products from animals presents urgent economic problems, environmental problems, public health problems, and, for many, moral problems.” Geltor has been heavily invested in by food and tech investors. Most people don’t know they are munching on a sweet containing fish or pigskin. But, if they did, I am sure they would not buy the product – even if they are meat eaters. It’s not just a religious issue (like halal/kosher) but also about the risk of contracting animal diseases. The vegetarian/vegan market is growing and there is a significant demand for alternatives that can precisely replicate the unique qualities of gelatin. The current market for gelatin has been estimated at $3 billion (current price is about $8 dollars per kilogram). So, there is great potential for a cost-effective alternative. People are already paying four to five times this amount for gelatin substitutes. What Geltor has done is, it has taken microbes and genetically engineered them to produce collagen from which gelatin is derived via a fermentation process. Geltor’s scientists program bacteria and yeast with the same genetic information as in animal tissue that produces gelatin. They then use these biological strains to ferment gelatine. Geltor’s animal-free collagen (N-Collage™) was launched in April 2018. Their aim is to have significant commercial quantities available by 2020, but they have already started selling. The use of animals as edible protein is now fast becoming archaic across the globe. Once the companies with alternative production systems enter the market, people will wonder twenty years from now why they ever consumed meat and contracted their diseases. For the 400 million vegetarians and vegans in the world, the suspicious presence of gelatin in foods often means going without eating dessert, and having to read endless number of labels. It also means that many companies lose customers. Now, with Geltor in the field, the gelatin companies in India have no excuse at all.